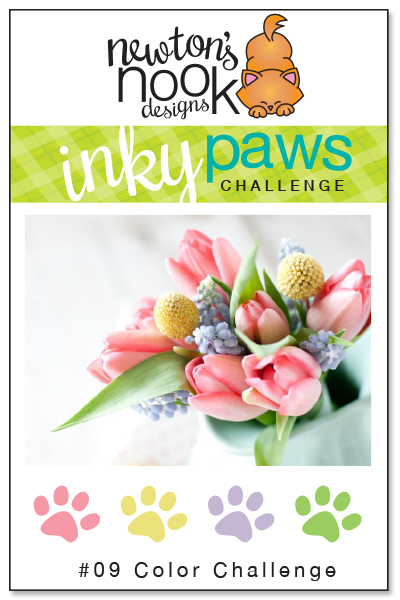 Newton's Nook Designs: Inky Paws Challenge #9 - Spring Color Challenge! Just beautiful, everyone!!! I wish I could have joined in this month! 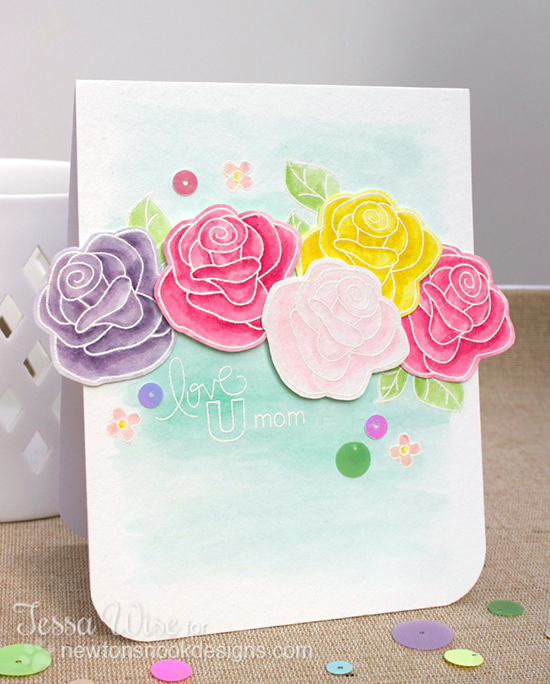 A gallery of gorgeous cards here, indeed! So inspiring to see the designers' unique takes on a common 'theme'. Each of these = pretty,+++ Again, Jen, your stamps are such delights, and in the hands of you and your team, they become magical! WOW!! 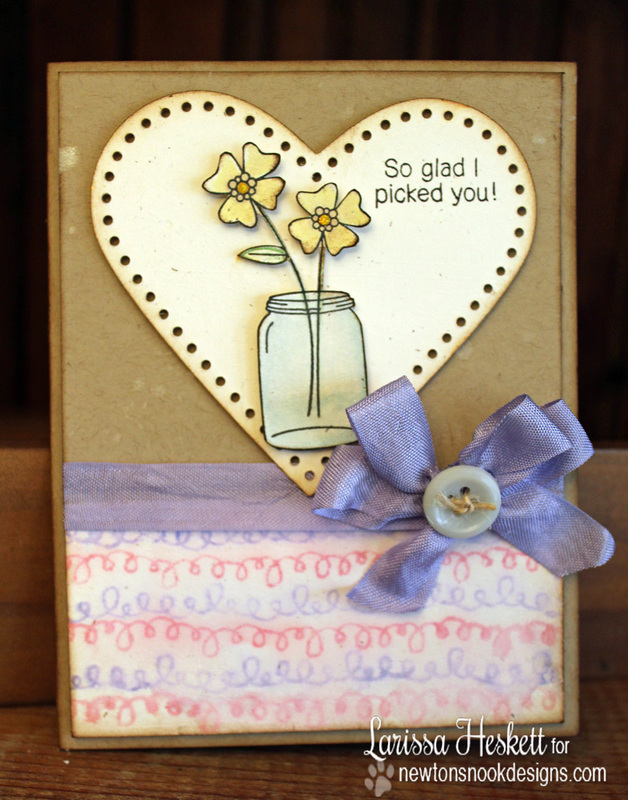 Oh how pretty these are; beautifully done! 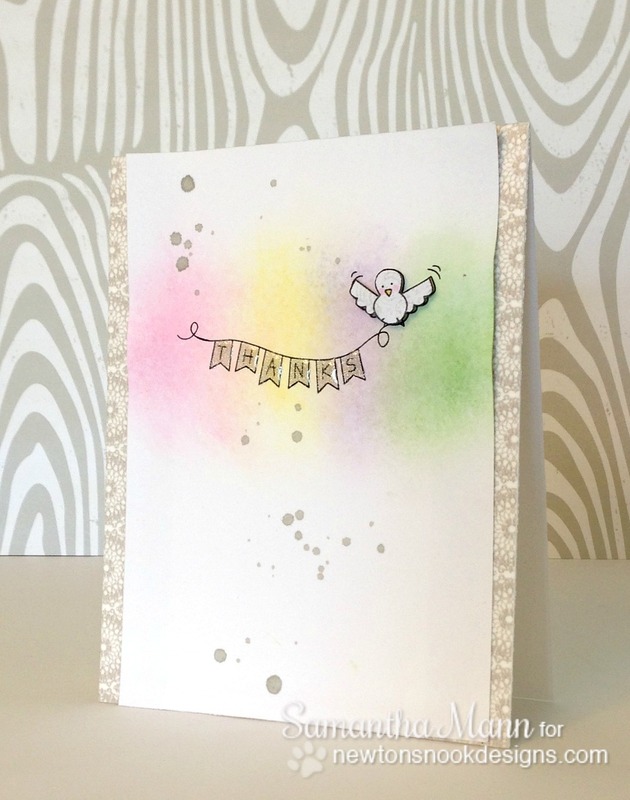 Amazing cards here people!!! Wow!!! love the different takes on the colors!! 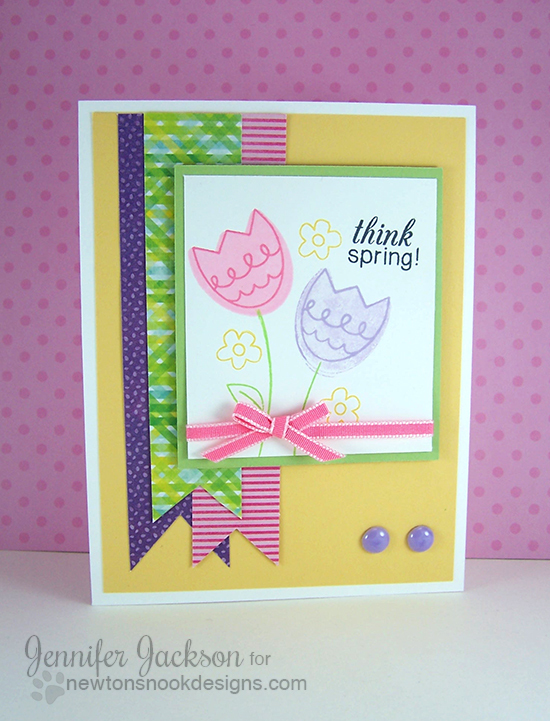 I was totally inspired to make another card!! 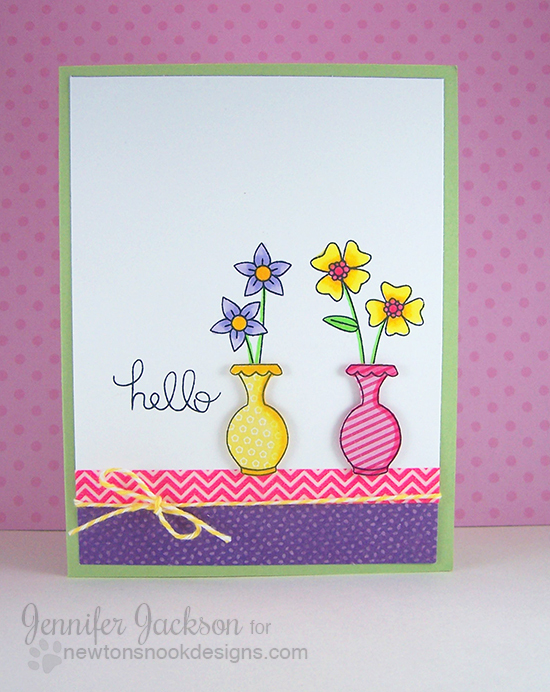 I LOVE your cards too Jennifer!! The way you stamped the Easter eggs is so COOL!! 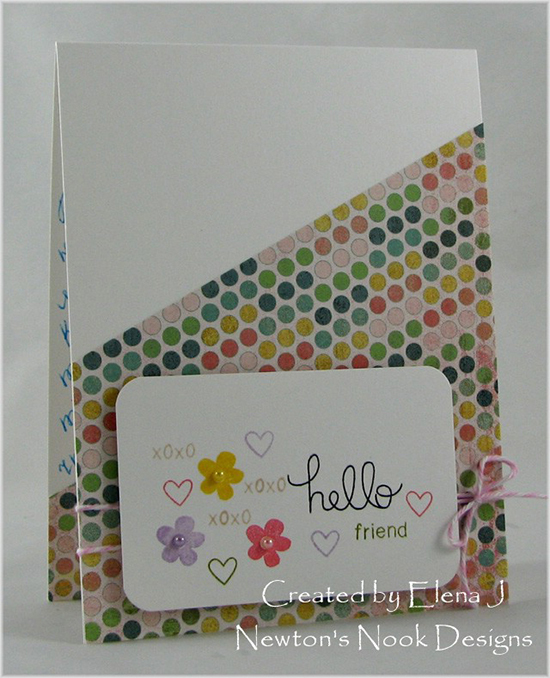 And the paper piecing on the 2nd card is amazing!! Wow! 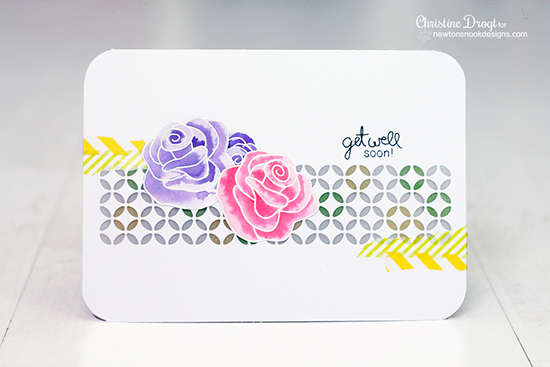 What pretty color choices and gorgeous collection of cards! Love these beautiful colors! Great DT projects!